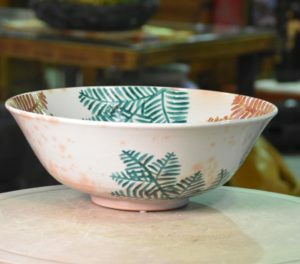 Japanese contemporary bowl. In good condition. 240 mm’s diameter and 80 mm’s high. SKU: 13596. Categories: Ceramics, New Arrivals.